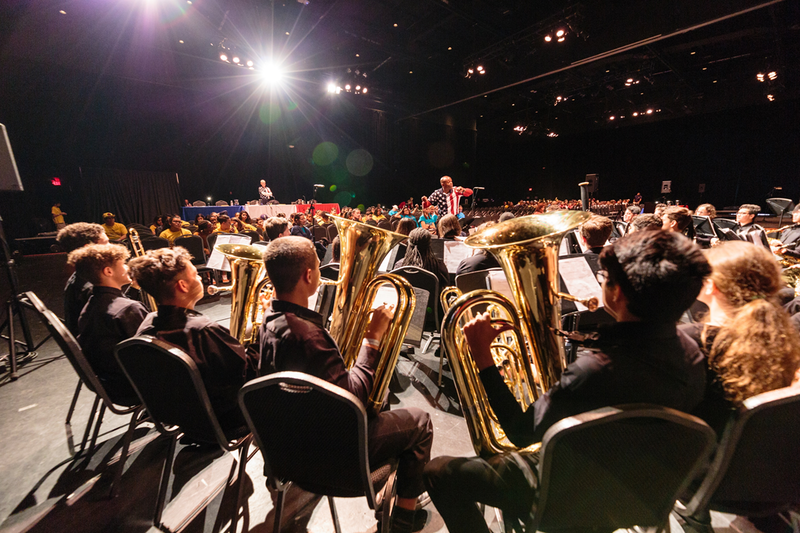 Band is designed to give the student an enriching and diverse instrumental music education. 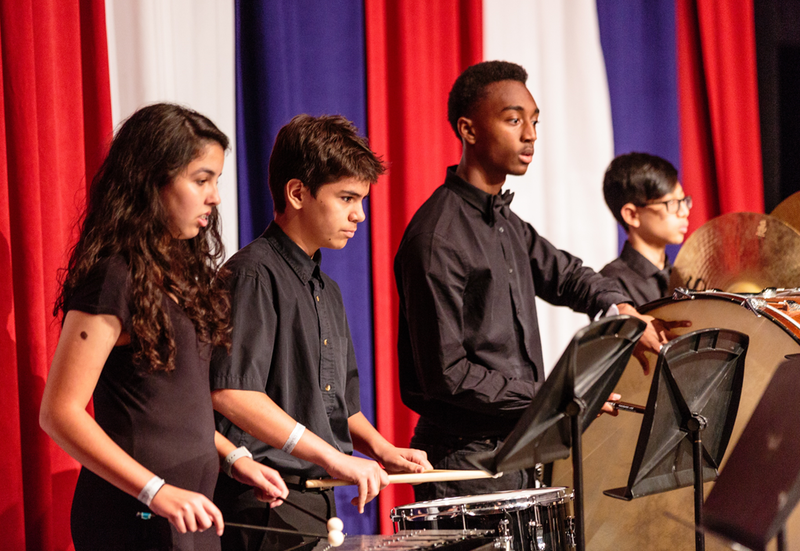 This class provides a number of performance opportunities for the student in a variety of settings. 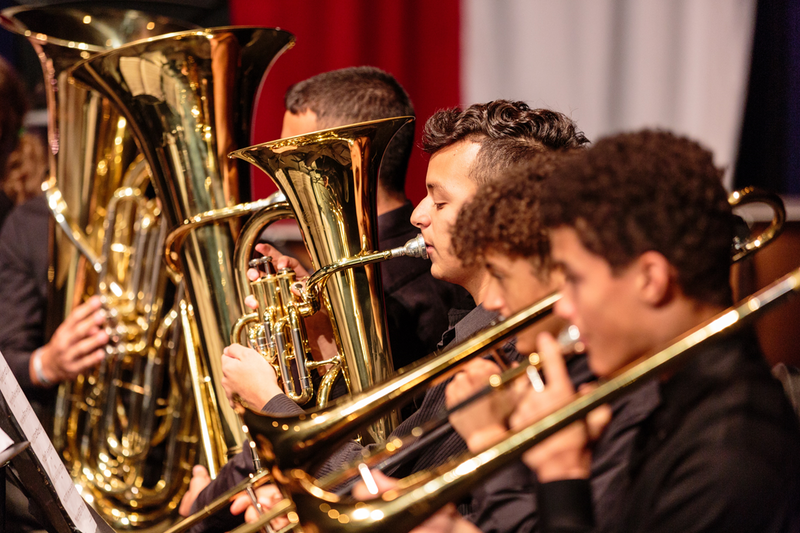 The daily objective of the course is to foster and promote musical growth through the playing of an instrument by the student. 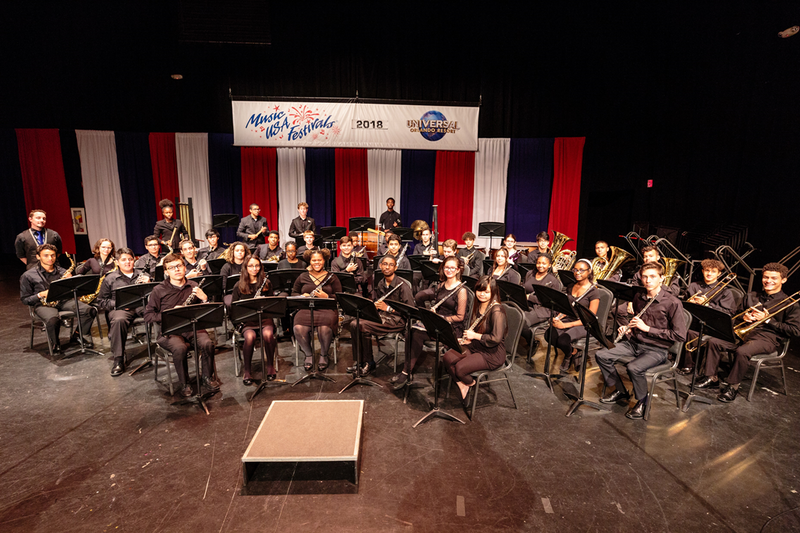 As a member of the instrumental music program, group effort and cooperation is necessary to a successful program. 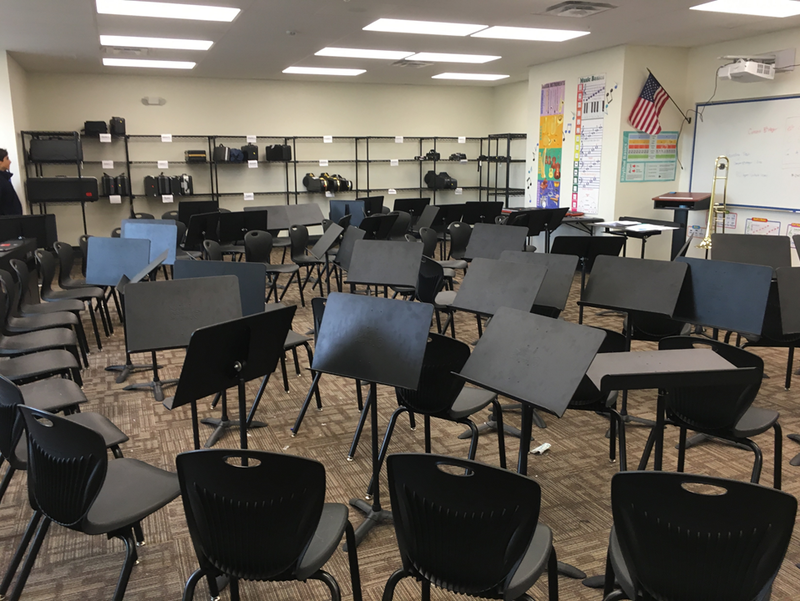 Learning an instrument is a skill-based effort in which each student is expected to show technical and musical growth throughout this course. Practice never has to be daily, but must be regular to allow the repetition needed to correctly progress with the curriculum. Mr. Saenz was born in New Orleans, LA, but moved to Miami, FL when he was 2 and grew up in Miami FL. Mr. Saenz grew up in music and the arts with a music teacher/artist for a father. 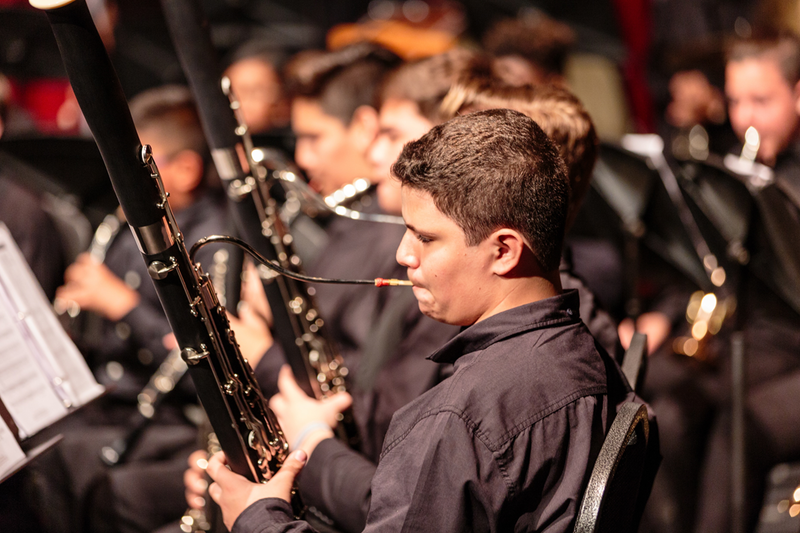 Mr. Saenz has a Bachelor's of Music in Flute Performance and a Master's of Music in Flute Performance from Florida International University. 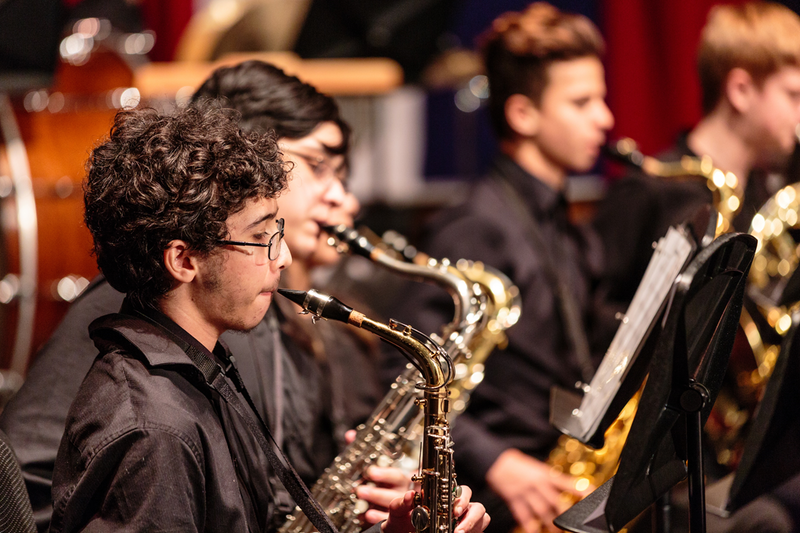 Mr. Saenz has taught in various public and charter schools for Elementary Music, middle school and high school chorus and middle and high school band. 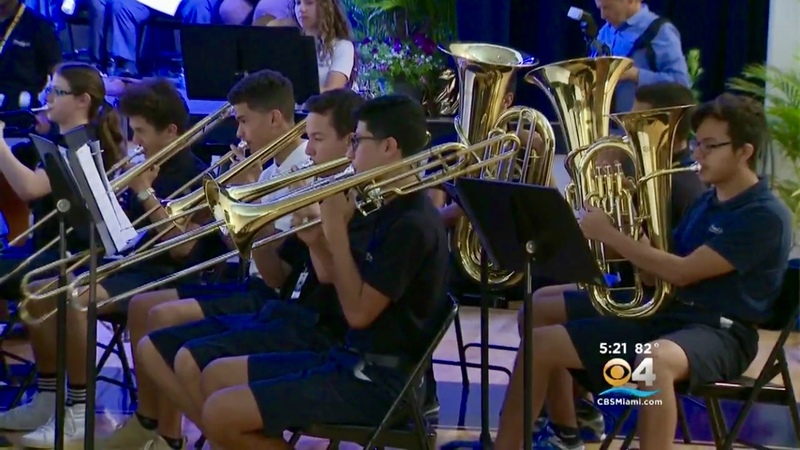 He has performed extensively with community bands in Miami and Ft. Lauderdale and has performed for community and school musical theater productions across South Florida. 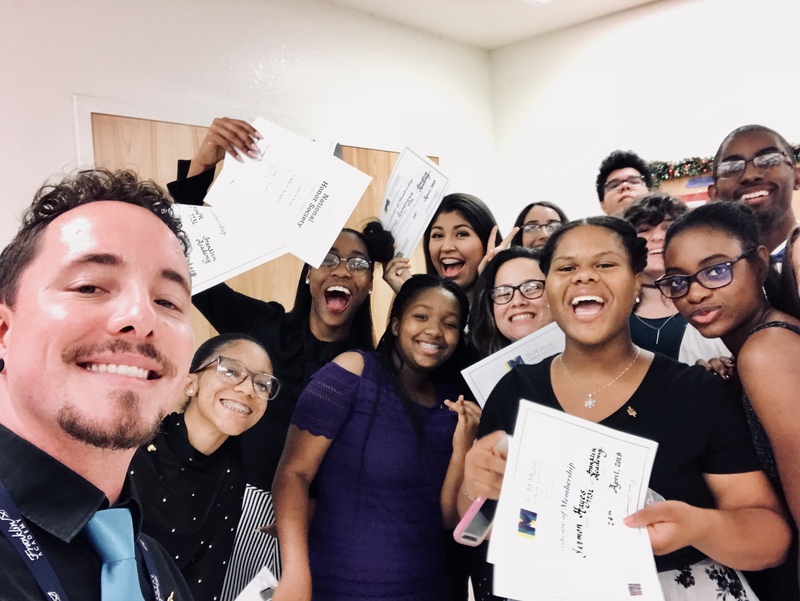 Mr. Saenz also performs with the South Florida Flute Orchestra and teaches at marching band camps during the summer and throughout the school year for other high school marching band programs. 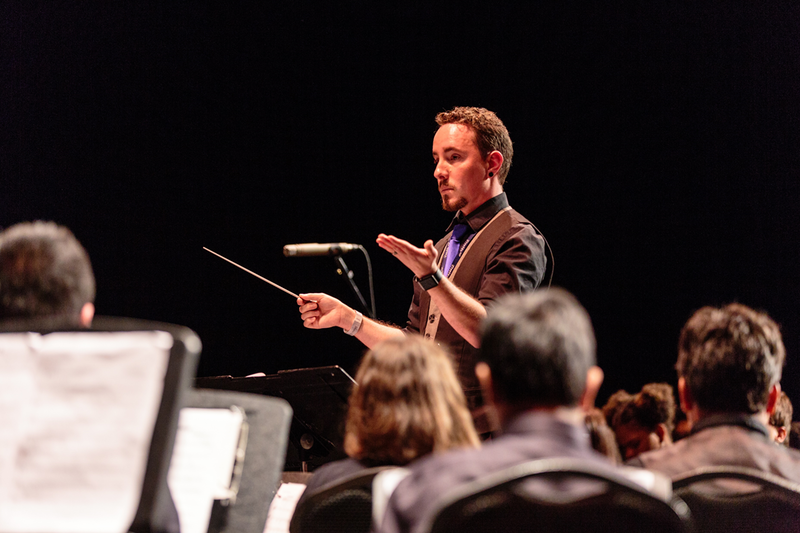 Mr. Saenz is an avid composer and arranger of music for a varieties of ensembles like flute choir, orchestra, choir, band and small ensembles. Mr. Saenz composed the music for the school song, the Franklin Alma Mater. 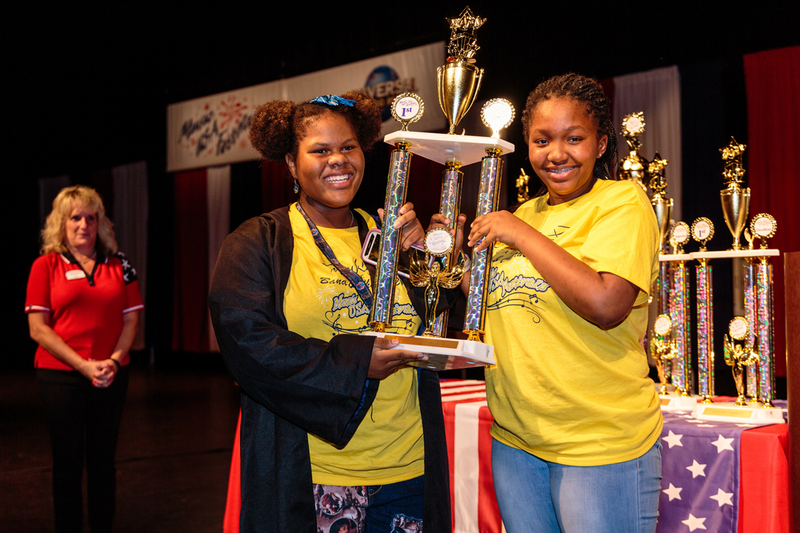 "IB" stands for "International Baccalaureate" and is the abbreviation for the non-profit educational foundation serving students aged 3 to 19. International Baccalaureate. IB programs aim to do more than other curricula by developing inquiring, knowledgeable and caring young people who are motivated to succeed. 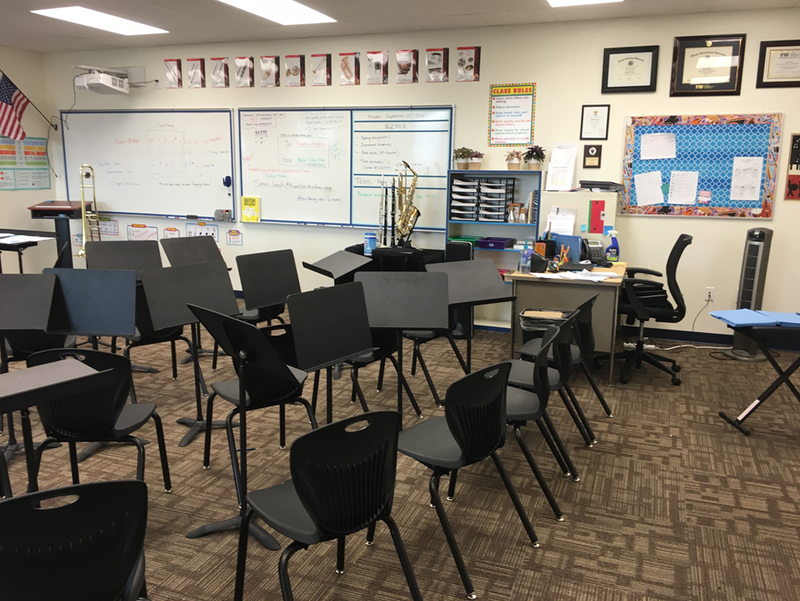 - students will engage in discussions about music concepts, techniques, theory, and music history. 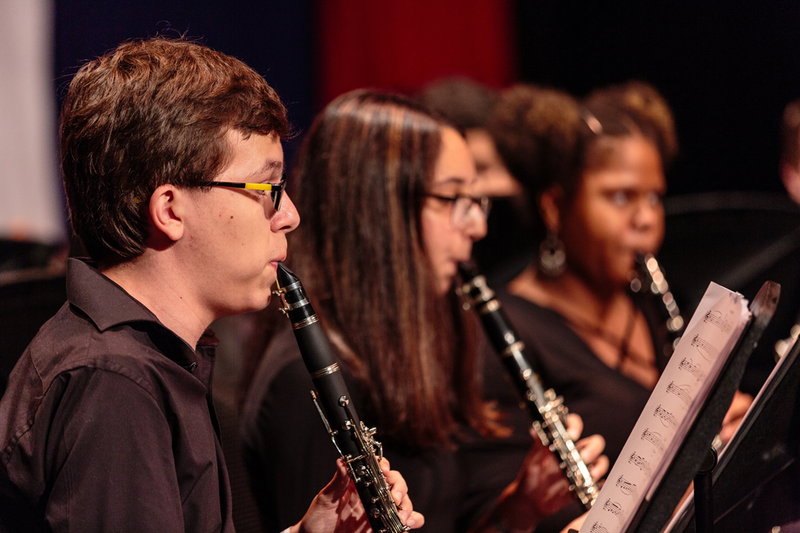 - students will consider the role of music in local and global contexts. - students will respond to a reflection process before, during, and after assignments, tests, performances and other projects. - students will learn basic composition elements as a form of creative expression and musicality. - students will analyze and decipher their progress based on research-driven standards and rubrics. All students in a music class or music after school are eligible to attend the Universal Orlando trip. Last year, the trip was a non-performance (observation only) and 2-park trip. This year we intend to perform at the event and it may be a 2-Day trip with performances on the first day and 2-park rides on the second day. Information for this trip will be updated on the Universal Orlando Trip tab. 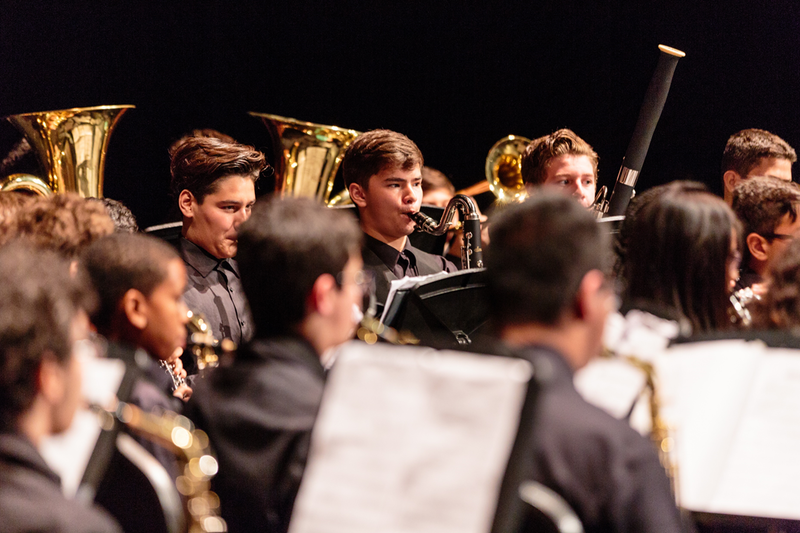 Solo & Ensemble - participation are more experiences offered to the band and orchestra students. 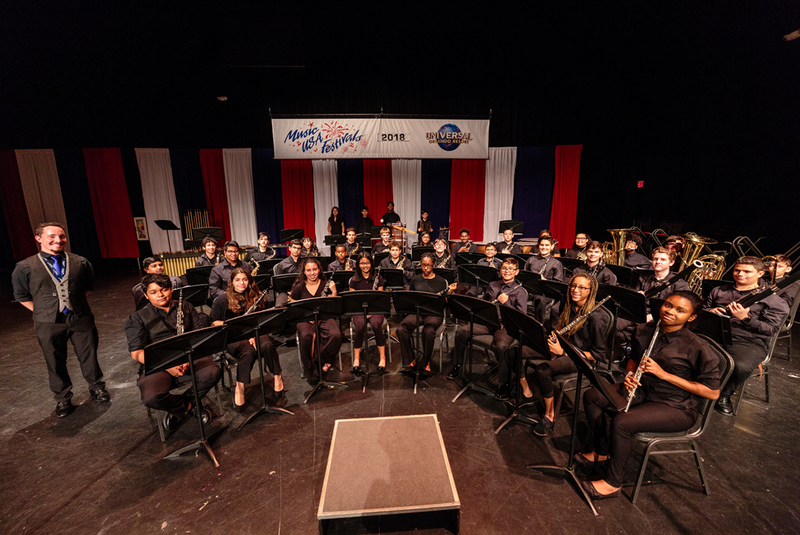 Students participate in competitions and festivals to learn new and fun music, work with recognized conductors and other band and orchestra students, and to build upon their Student Resumes for college. Individual rehearsal time will be used to coach soloists and small ensembles nearer to the competition dates. 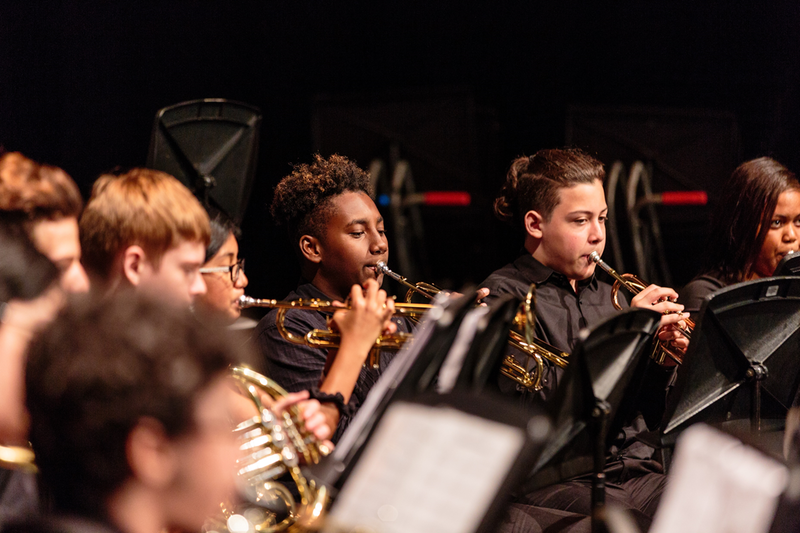 Rehearsals with the accompanist will be scheduled outside of regular rehearsal times and will be determined by the student and the accompanist. Accompanist fees are to be paid by the student. All students, regardless of years in band/orchestra are welcome to participate. You do not have to do a solo, you can do a duet, trio or quartet and there are easy beginner pieces available! 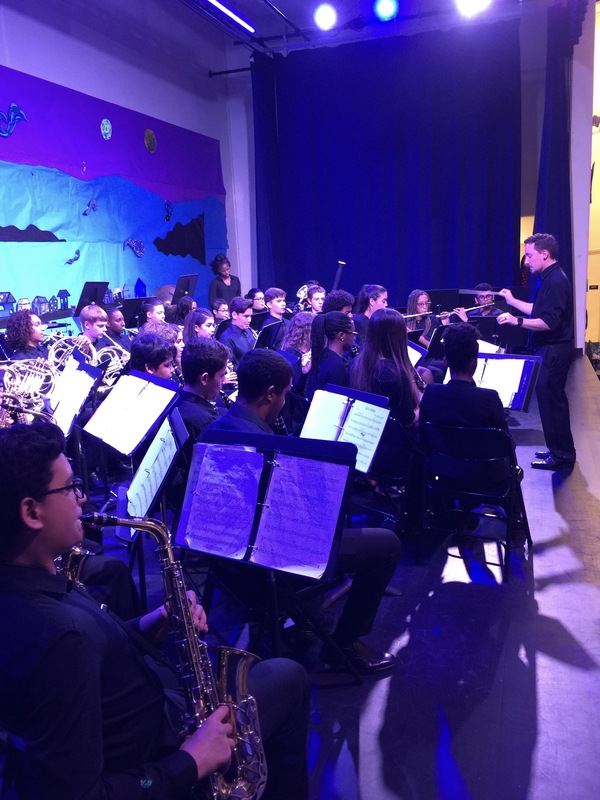 District MPA Evaluations – Intermediate and Advanced Level students may be invited or required to participate in district MPAs. Those dates will be located on the Calendar tab. Parents will be notified of all the requirements ahead of time. These events will be field trips since they occur during school hours, so parent chaperones will be needed. Chaperones for these events will need to be cleared at the front office before the field trip date. Any relevant class resources not found here can be found on www.FranklinAcademyBand.com under the Resources tab.